Herbs in those individual packages are so expensive to buy in stores so we decided to put together a DIY Indoor Herb Garden Kit. 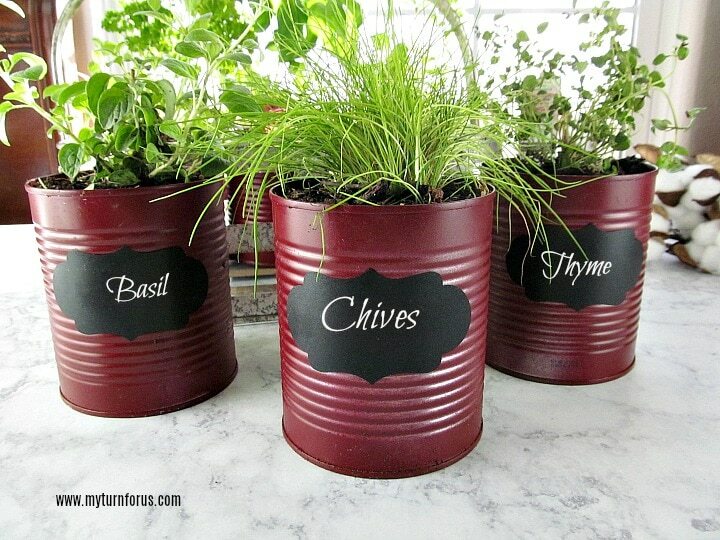 One that is easy and inexpensive and we can enjoy fresh herbs all year. 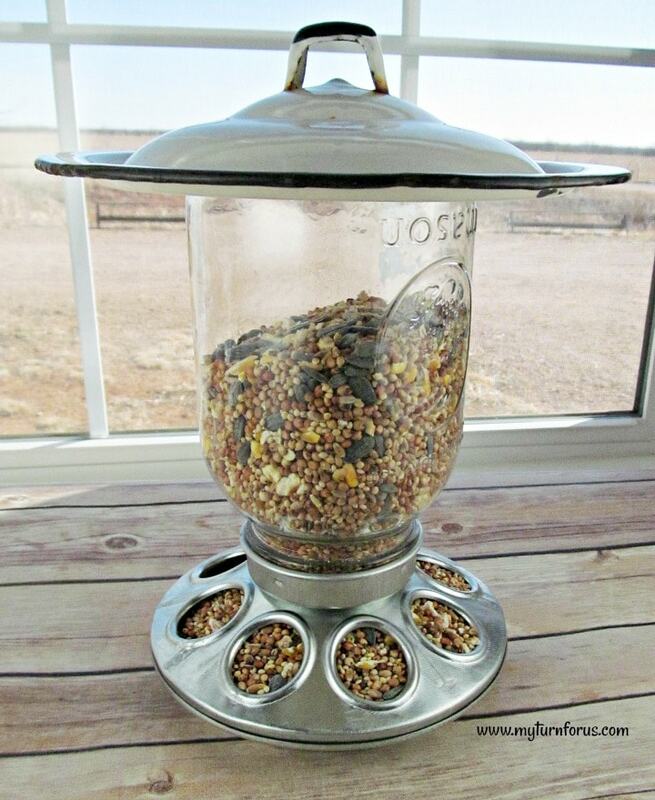 We found this cute metal carrier at our local tractor supply which is meant for mason jars. 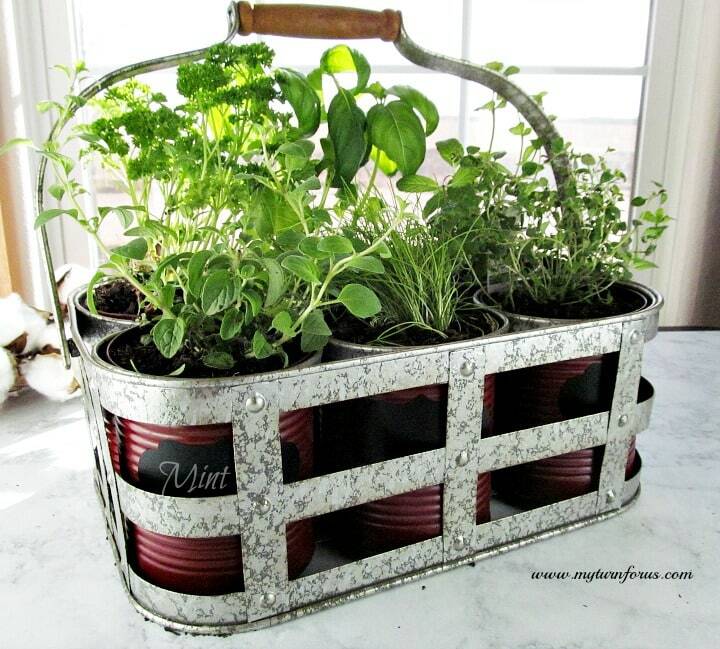 This carrier will make it easier to take our herbs outside on pretty days and bring them in on freezing nights. So our herb garden can now be mobile! If your tractor supply doesn’t have these in stock right now, I believe it’s a seasonal item, you could try looking for them on the Tractor Supply Website. 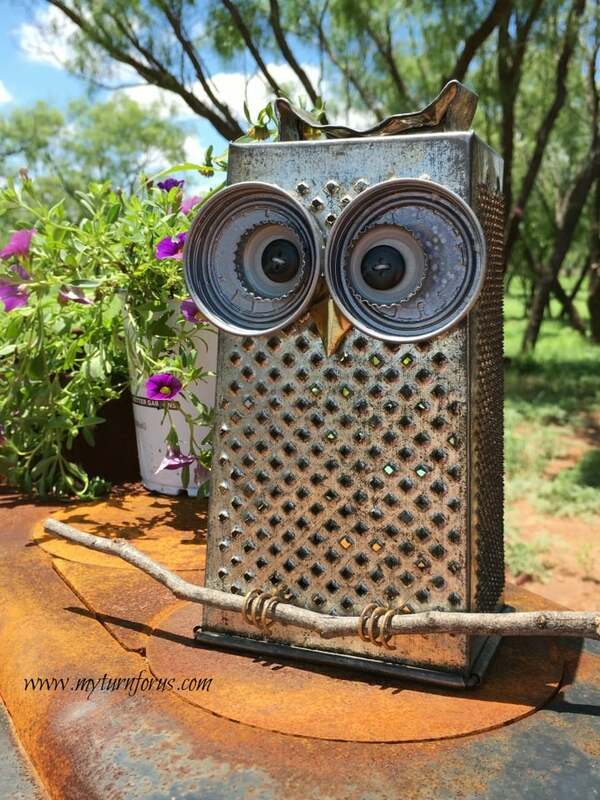 Antique Farmhouse, World Market, and Decor Steals all have an amazing selection of cute metal baskets and trays that would be so cute for your DIY Indoor Herb Garden Kit. We discovered that a 28 ounce can fit into each slot perfectly and would be a nice size for our herbs. You might measure your tray or basket to see which vegetable cans would fit comfortably. 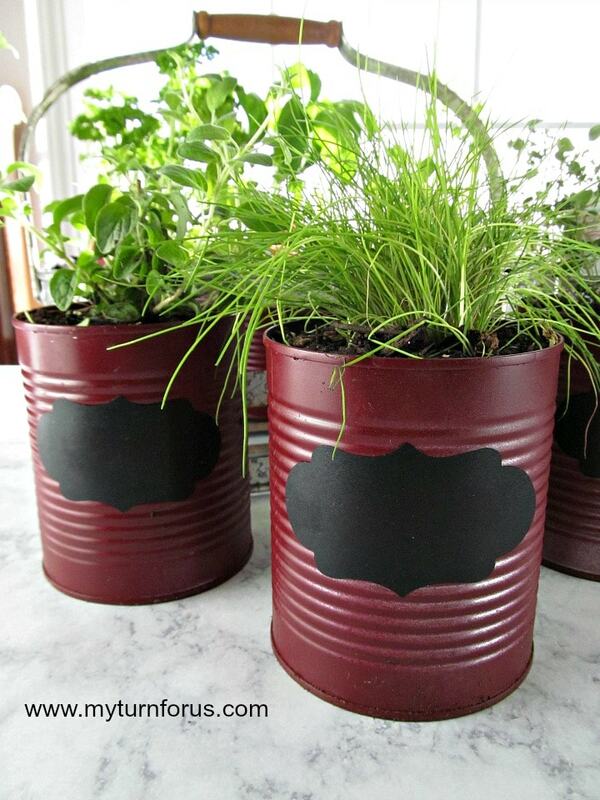 The vegetable cans were spray painted with Rust-oleum™ Satin Claret Wine paint inside and out. We used a sixteen penny nail to punch four holes in the bottom for drainage. 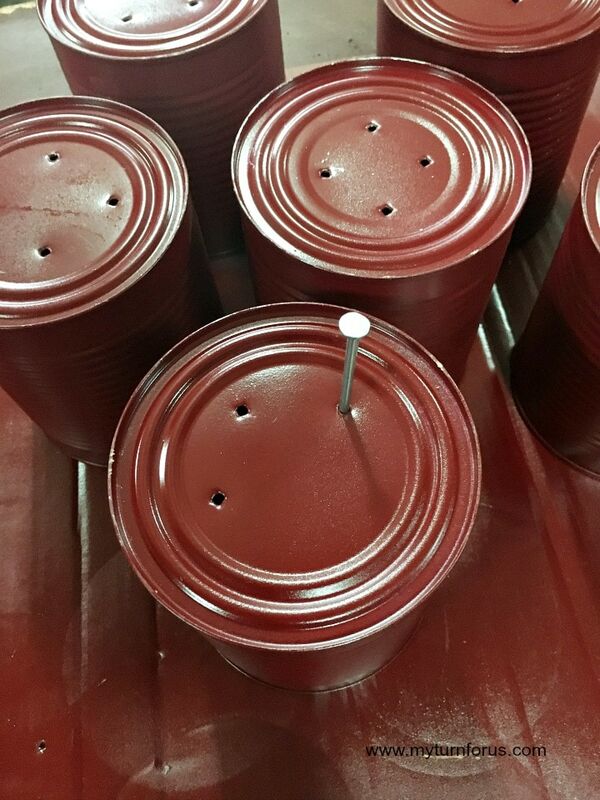 We added a 1-inch layer of 1/4 inch size gravel in the bottom and then filled our cans with a good potting soil designed for indoor plants. 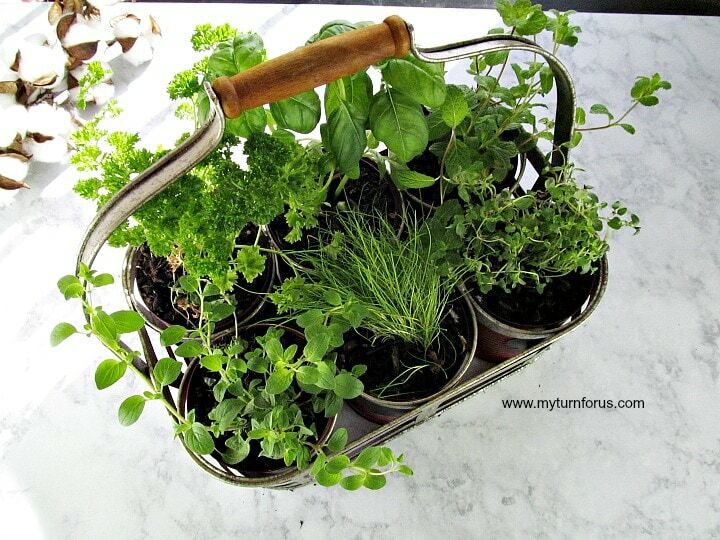 Choose your herbs to plant, by determining which fresh herbs you would use more frequently. We decided on basil, oregano, thyme, parsley, chives and mint for our little six-pack indoor garden planter. We found some waterproof labels on Amazon and applied one to each little pot. 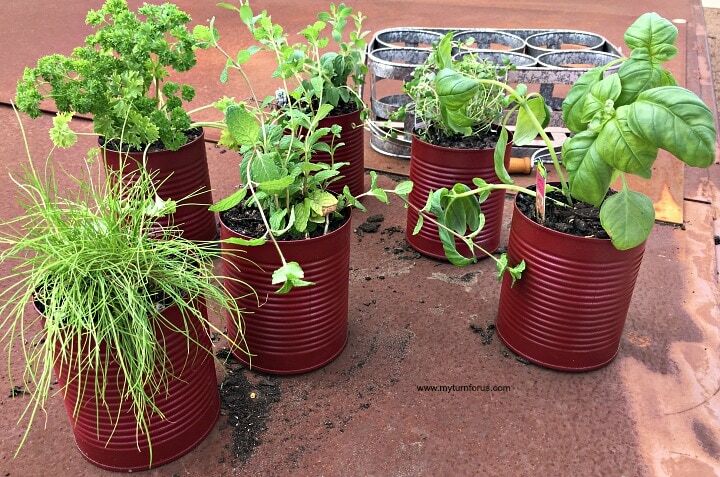 And that’s how easy it is to have a mobile DIY indoor herb garden kit. Don’t forget to place the herbs in a sunny window and that potted herbs need to be fed regularly. We like these fertilizer plant food stakes since there is no mixing nor measuring and your plant is fed for 2 months. See also our post on the Ultimate Guide to Planting an Herb Garden here for further instructions and tips for planting an indoor herb garden. 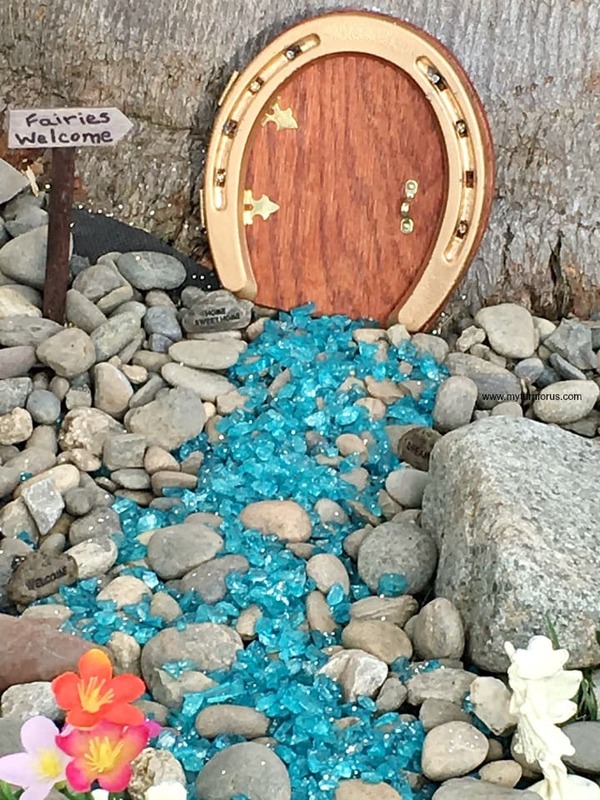 Also if you choose not to make your own herb garden, there are so many cute and inexpensive commercially made herb gardens.